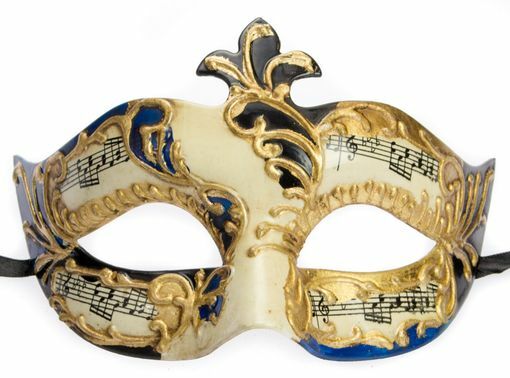 Men's Venetian mask is hand painted with music note accent. This mask is made of a durable hard plastic. Mask color is gold and black.